According to Reuters, Nokia will start selling its new smartphone, potentially its last chance to break into the most profitable part of mobile phone market and secure its future, in November, sources at European telecoms operators said on Friday. The Lumia 920, which uses Microsoft’s Windows software, is Nokia’s bid to catch up with Apple’s iPhone and a string of popular phones using Google’s Android software, like Samsung’s Galaxy models. The new phone, which with its rounded edges and colorful covers look similar to its predecessors, was unveiled on Wednesday and drew a thumbs down from many analysts, who felt it lacked the “wow” factor to make big inroads against rivals. They were also unsettled by Nokia’s refusal to say when the phone, and the smaller Lumia 820 models, would go on sale, or to give details on the price and operator partners. Once the world’s biggest mobile phone maker, Nokia fell behind rivals in the fast-growing smartphone market and has struggled to catch up, racking up more than 3 billion euros in operating losses in the last 18 months and forcing it to cut 10,000 jobs, as well as sell assets. By going on sale in November, the Lumia 920 will hit stores in time for the key holiday sales season. It will be priced similar to Samsung’s flagship Galaxy S3, operators in several countries said. The Galaxy S3 sells for around 580 euros. But the phone will probably land more than a month after Apple’s new iPhone and will face stiff competition from Samsung, which last week unveiled the world’s first smartphone with the Windows Phone 8 software that the Lumia 920 will use, as well as new models from HTC and Google’s Motorola. An executive at an eastern European telecoms operator said he would start selling the Lumia 920, which features a high-quality camera and touch screen that can be used with gloves, in the second half of November, adding larger countries would receive the model earlier that month. Industry sources said on Thursday that Nokia had cut the prices of its older smartphones in a bid to boost demand until its new phones reach the market. Analysts expect the Finnish firm to lose another 700 million euros in the July-September quarter and to sell around 3.6 million Windows phones, down from last quarter. In comparison, Samsung sold more than 20 million Galaxy S3 smartphones in just 100 days. Samsung has become the world’s biggest smartphone maker as Nokia’s share of the market has plunged to less than 10 percent from 50 percent during its heyday before the iPhone was launched in 2007. 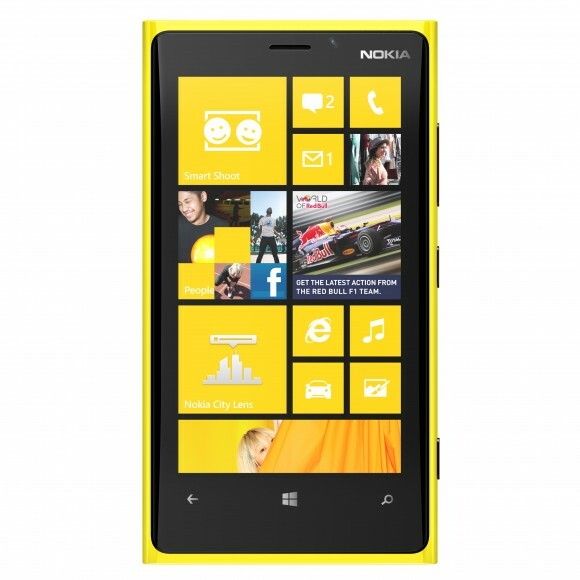 The Lumia 920 is expected to go on sale in the United States around the same time as in Europe.